I've completely forgotten where I got inspiration for this, but I know I saw it in a magazine somewhere! This added a nice, flavoursome twist to oven-roasted veg as a side dish. Pre-heat the oven to gas 6. 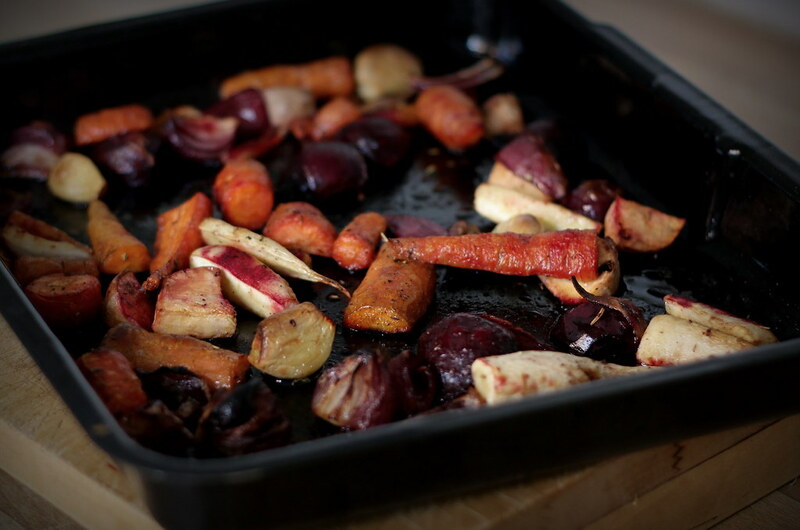 Put the veg in a roasting dish, season, and toss with the olive oil. Add the raspberry vinegar, toss, and roast for a further 10-15 mins.